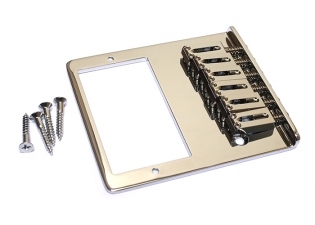 Chrome Gotoh® humbucker Telecaster® bridge. 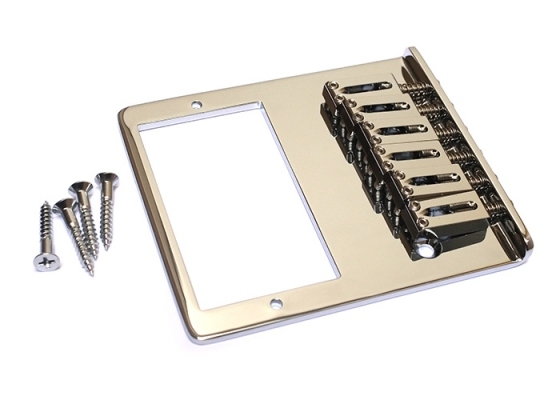 1/8'' thick brass plate with string-through-body holes. Standard Telecaster® pickguards will need to be modified slightly to fit the extra baseplate width needed for the humbucker pickup. This bridge will work in either right or left handed Teles®.